Bukartilla and Tineriba Gallery in Hahndorf, South Australia is an iconic tourist attraction with a gallery focused on Australian Minerals, including insects, shells, fossils and minerals. Visit on your next trip to South Australia. Most of our loose insects and butterflies are from the jungles of Papua New Guinea. 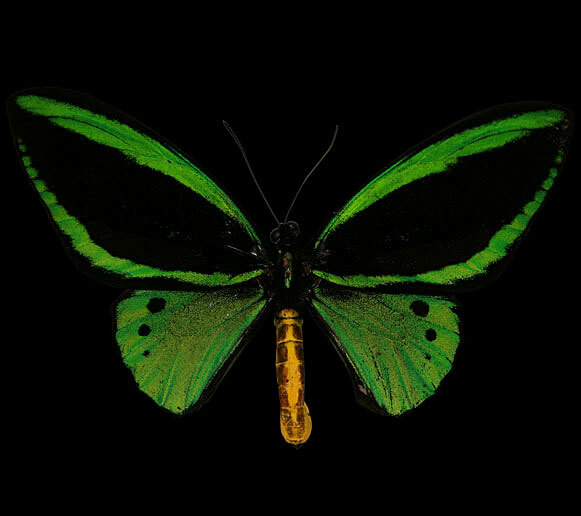 All the butterflies, big and small, with many brightly coloured or iridescent. 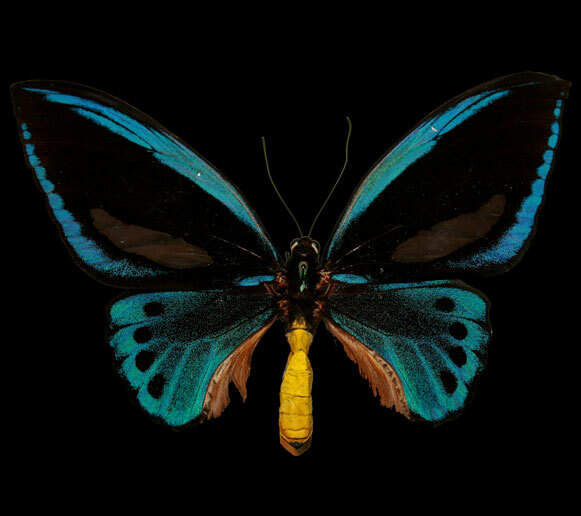 The Ornithoptera (birdwing) butterflies are well represented in our collections. Many of the beetles can be beautifully coloured, of all shapes and sizes; some up to 10cms body size with antennae a further 20cms. 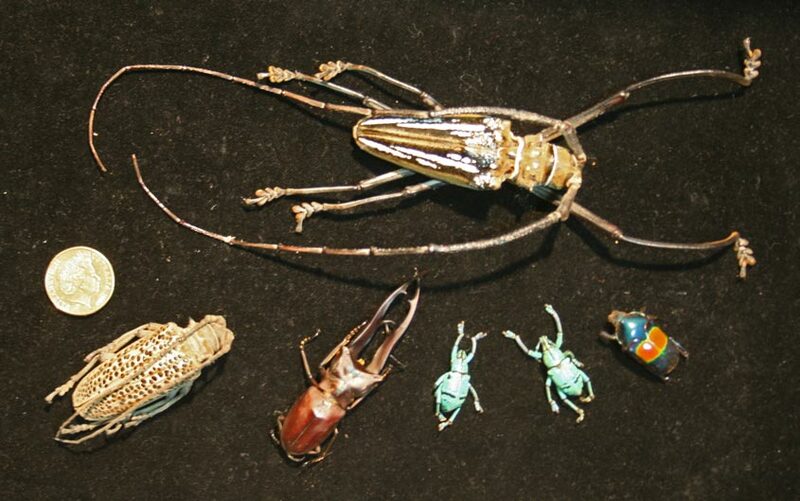 The range includes longicorns, stag beetles, jewel beetles, dung and Christmas beetles, and large iridescent weevils. Another interesting group which includes cicadas,stink and assassin bugs, various leaf hoppers and plant bugs. 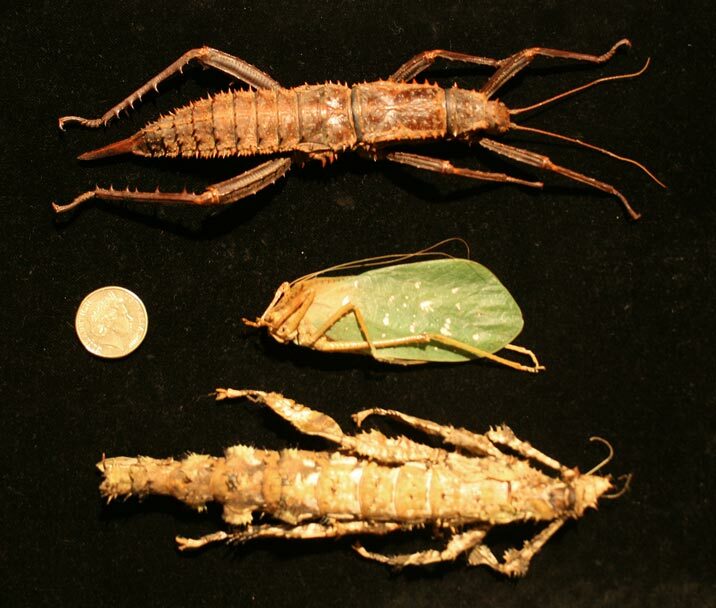 Some bugs, stick and leaf insects are endemic to Papua New Guinea. These may be up to 30cms long. Also available on a semi-regular basis are boxed sets of butterflies and insects from South America.